Could We See BlackBerry Phones Running the PlayBook Tablet OS? 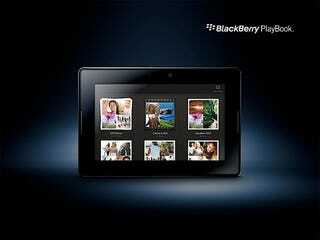 RIM's said we might just see phones running the PlayBook's QNX software over their BlackBerry OS in the future. Considering it's a true multitasker, and supports OpenGL ES 2.0 for awesome gaming potential, this is great news. It could even be used as the next large step in the BlackBerry OS race—swapped in at the OS 7.0 stage, surprising everyone with its fresh new UI and multitasking. The Senior Vice President of the BlackBerry Platform, Alan Brenner, said that "there's no reason to rule it out," and people are beginning to get suspicious that it could indeed take over the BlackBerry OS mantle at the 7.0 step. Considering OS 6.0 only arrived the other month, it could be a very long, frustrating wait.